I grew up enjoying the outdoors, from playing in the woods behind my house, to combing the beaches of Whidbey Island with my Grandparents. I was always fascinated by the natural world around me. 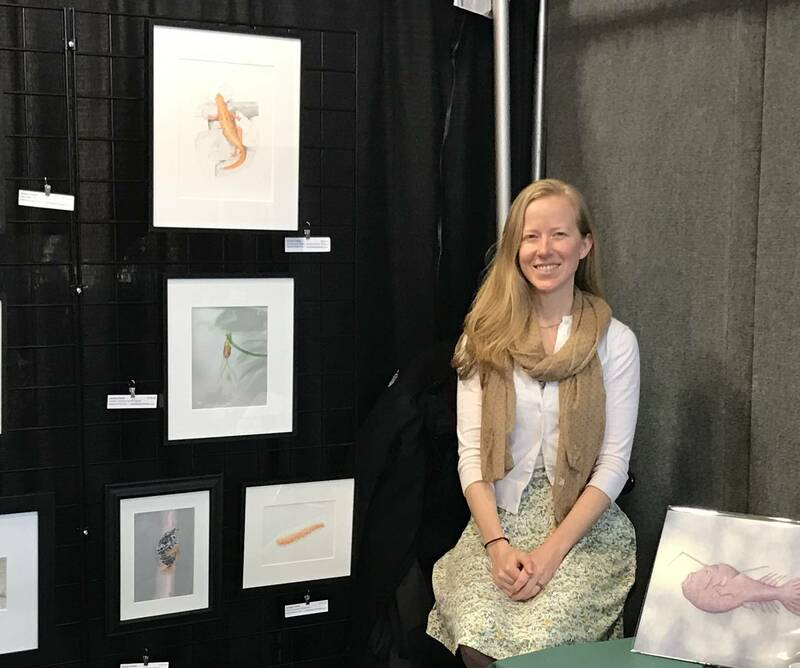 This early love for nature led me to study biology at the University of Washington where I earned a Bachelors of Science Degree and later on a certification in Natural Science Illustration. The link between art and science was a natural fit for me and I have found joy in creating work which is both beautiful and educational. While I find inspiration for my art from a variety of flora and fauna, my greatest source can be found in marine life. I am intrigued by the bizarre shares and intriguing adaptations which can be found around every corner. Our planet is a place of beauty and wonder. I hope that through my art I will be able to inspire others to take a moment to see the world around them and work to protect it, or at least, appreciate it. As I mentioned in my bio, I am fascinated by the bizarre beauty found in our oceans. So it would only make sense that I would model my logo after mysterious underwater crop circles. When divers first stumbled upon these sand formations off Amami-Oshima Island, Japan, it was a mystery as to how they formed. Many years later we now know the culprit. In late 2013 we were introduced to our sculptor, a small species of pufferfish and in 2014, the newly found spices was described. Torquigener albomaculosus or the white-spotted pufferfish has a very unique mode of reproduction. The male of the species creates these sand formations which are approximately 2 meters diameter and take around 7-9 days to construct. The design helps to accumulate fine sand particles in the center, which is used as a nest for the eggs. Females choose their mate based off of these sand formations. It is unknown the specific criteria used by the females to make this decision, but I choose to believe it is based off of both function and beauty. I chose to create my logo around this pattern because it represents a number of things about me. Not only is it a wonderful example of the beauty found in nature, but it also mirrors my work. Scientific illustration is all about details and is often a (very) slow, meticulous process. The time and energy put into each piece, however, is usually worth it and in the end I hope that it serves a function beyond it’s pleasing aesthetic. I do also want to give credit where credit is due. A wonderful friend of mine and talented graphic designer Nathan Briggemin helped take my initial drawing and turn it into the digital rendering I now use. It was the first version he did before he passed away, but I think it’s simply amazing and I’m honored to have it as my logo. Kawase, H., Y. Okata and K. Ito, 2013. 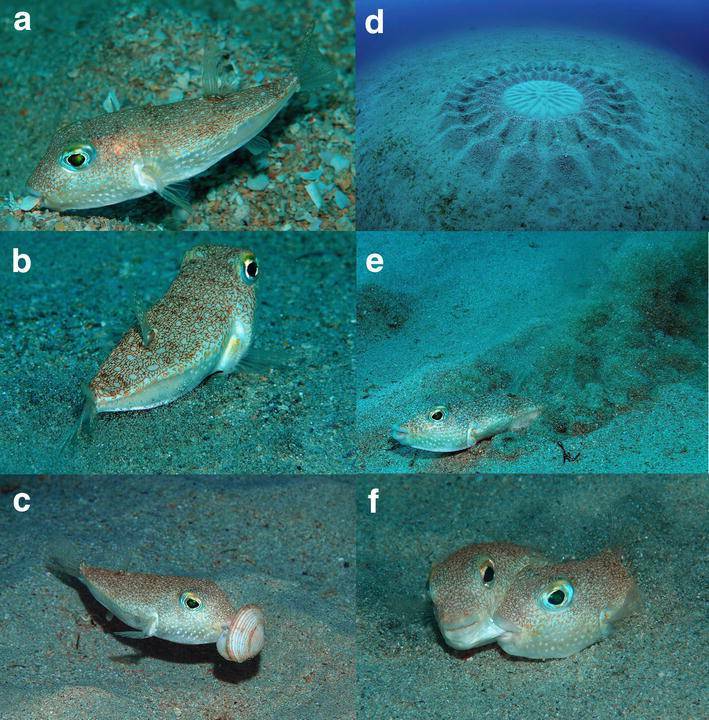 Role of huge geometric circular structures in the reproduction of a marine pufferfish. Sci. Rep. 3:2106.